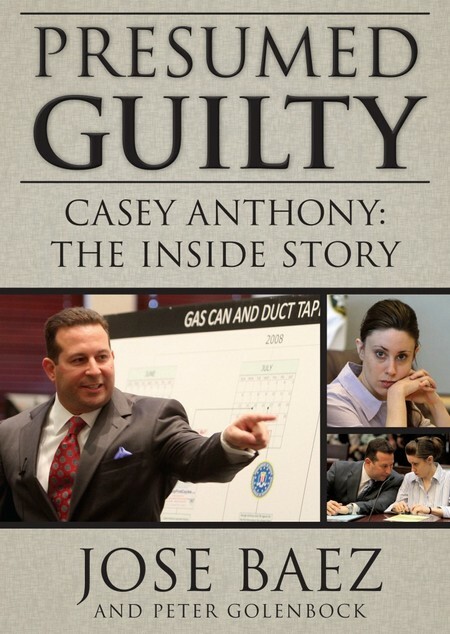 Jose Baez defended Casey Anthony during her highly publicized trial where she was accused of murdering her daughter, Caylee Anthony. He has now revealed that Casey was not guilty of murder, per say, but that she had “serious mental health problems”. That is currently still open for speculation, Jose. During the trial, prosecutors accused Casey Anthony of duct taping her daughter and subsequently suffocating her, because she wanted to spend time in with her boyfriend and party it up in night clubs. One of Casey’s strongest defense arguments was that her father, George Anthony, sexually abused his daughter. George denied all allegations. Jose Baez claims that this also led to severe mental health issues in Casey. The now 26 year old ex-accused has revealed that she will also be writing a book about the whole experience, but Casey seems to forget that this isn’t a trip to Europe, but the death of her own daughter. Casey lacked any form of empathy or sympathy after her daughter’s death was revealed and many accused her of having had fraudulent emotions during the trial. Do you think she murdered Caylee? Why is no one talking? Let us know in the comments below.